Born in Osaka City in 1924. Ukita joined the Osaka publisher Ozaki Shobo in 1947, and took part in the production and editing of the monthly magazine, Kirin (Giraffe), whose inaugural issue was published the following year. He became better acquainted with Jiro Yoshihara when commissioning covers for Kirin, and began his artistic career on Yoshihara's recommendation. 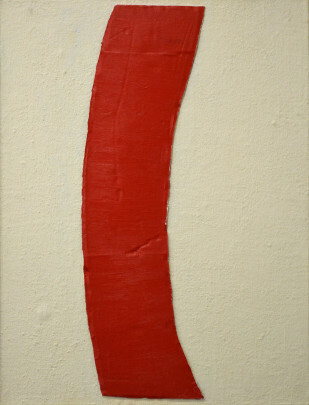 In 1955, he joined the Gutai Art Association, and produced work mainly in connection with the Gutai Art Exhibition. In 1964, he left the association, and took a break from art for more than decade. Returning to creative work in the latter half of the 1970s, he exhibited at numerous solo and group exhibitions in Japan and abroad. He was also active in giving advice on creating art at special-needs facilities and other care facilities. In 2008, he published Kirin no Ehon (a compilation of covers and other artwork from Kirin). He died in 2013 at the age of 88.